We have gone the extra mile to provide our clients with a finishing & refurbishment service that is unrivalled. We have gone further than most coaters by installing a 5-stage pre-treatment wash system with a fresh water rinse, which is in addition to our 3-stage pre-treatment wash system, our batch paint and assembly services. This upgraded system ensures that our customer’s products are thoroughly cleaned and properly prepped for finishing. Powder coating is a dry finishing process where finely ground particles of pigment and resin are electrostatically charged and sprayed onto a grounded part. The part is then baked in a curing oven, at which time the powder melts, bonds and cures – leaving an attractive, uniform and highly durable finish. Prior to coating, parts are pre-treated to ensure optimal surface preparation and paint adhesion. Although Griffin can take care of both your liquid and powder coating needs, we suggest using powder coating whenever possible. Powder coatings offer a highly durable finish and can withstand the rigours of the outdoors much better than liquid coatings. Additionally powder coatings are eco-friendly as they release minimal Volatile Organic Compounds (VOC) into the environment, and are much more cost effective than liquid coatings; not to mention the variety of textures, colours and compositions available for the various applications. Regardless of your need – red, black, white, yellow, green, clear, flat, gloss, metallic, textured or fine textured or even anti-graffiti – Griffin Technology can help. Choices can be made from standard RAL stock colours and textures or you can provide us with custom specifications. The options are unlimited. What are the Maximum Product Sizes and Weights You Can Process? Griffin Technology’s processing systems have a variety of processing capacities. Our 5-stage line can accommodate parts that are 24’L x 40″ x 60″ and a maximum weight of 45lbs/ft. 3-stage paint line can accommodate parts as big as 7’L x 38″W x 60″H and a maximum weight of 25lbs/ft. our batch can process parts to a maximum of 12’L x 96″W x 80″H and a maximum weight of 5000lbs or the capacity of the fork lift. Do You Have a Quality Management System?  Yes we do, we are ISO 9001:2008 Certified and Controlled Goods Program Registered. Griffin specializes in metal-based finishings and refurbishments. Our facility is designed and equipped to accommodate all industries; from automotive parts to agricultural equipment to architectural or landscaping products to retail fixtures and medical products and everything in between. Griffin has the knowledge, capacity and expertise to deliver first class finishing solutions that meet your needs. Sub-assembly can be a cost-effective and timely means of meeting just-in-time production schedules. Whether it’s adding small bolts and brackets to a painted part or assembling multiple parts, Griffin is equipped with the expertise to assist with any assembly needs you may have. Yes. Many of our customers require masking to ensure certain areas on the product are free of paint. We have the expertise and resources to handle even the most complex of masking requests. How do I setup an account with you? First time and infrequent orders are C.O.D. Usually after the initial order has been shipped and paid in full, our accounting department will send a credit application form for completion. Once we receive a completed application and go through processing it and it gets a final approval from our controller, we will notify you of the approved account terms.